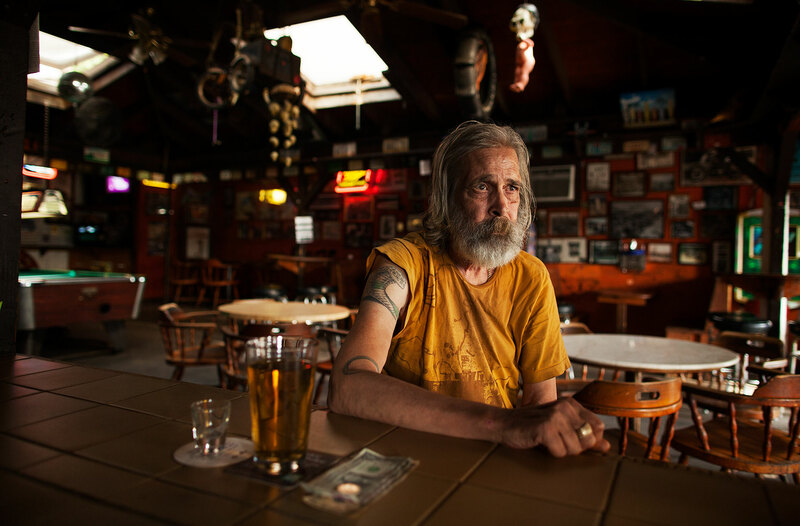 Dean S. Davis of Athens, OH, is one of the regulars at the Smiling Skull, a biker bar on West Union Street. Davis, a retired psychoanalyst, says many of the clients assigned to him by the state used to be bikers who had "done some really bad stuff." One told him of shooting a police officer in the face at point blank range. "He told me he had done what he had to do, and was only sorry he'd been caught." He says the Smiling Skull is the only bar in Athens that he frequents.